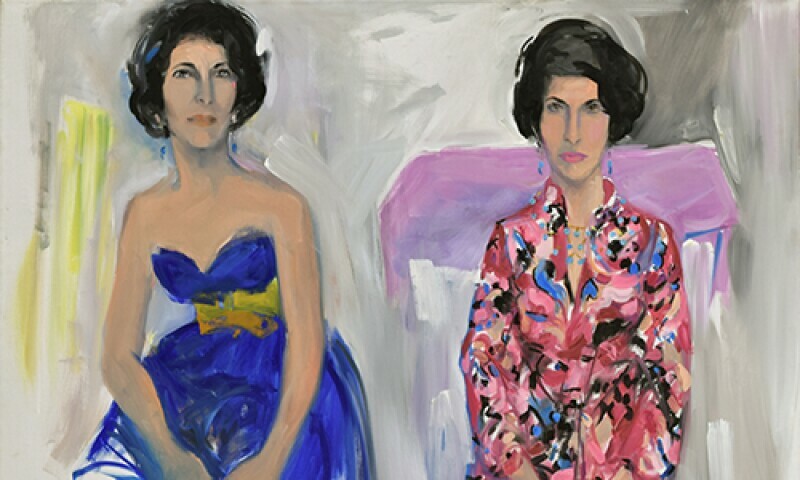 Elaine de Kooning, Double Portrait of Selima Stavola, late 1940s – early 1950s. Oil on canvas 47 ¾ x 59 ¾ inches. Remember to React: 60 Years of Collecting is the first comprehensive installation of NSU Art Museum Fort Lauderdale’s collection. Representing various periods and developments in the history of art, Remember to React also traces the collection’s growth from its origins to today. The exhibition is curated by NSU Art Museum Fort Lauderdale’s Director and Chief Curator Bonnie Clearwater and its Sunny Kaufman Senior Curator Barbara Buhler Lynes, Ph.D, with consulting curators. The Museum’s collection will be installed as its founders envisioned, as an interlocking narrative. It will include an extensive installation of the Museum’s traditional African art, and will begin with a gallery devoted to the works by artists of the Mexican Revolution – including Frida Kahlo, Jose Clemente Orozco, Diego Rivera, David Alfaro Siqueiros and others – and a gallery focused on artists such as Asger Jorn and Henry Heerup who resisted the German military occupation of Denmark (1943 to 1945) and later formed the Cobra group with Karel Appel, Constant, and others as a reaction to the political and social world order that emerged after World War II. Also on view is a comprehensive installation of American and European geometric abstract artists (Charles Biederman, Anthony Hill, Louise Nevelson) and works by post-World War II Italian abstract artists (Agostino Bonalumi, Lucio Fontana, Mimmo Rotella) that are important links between abstract expressionism and minimalism and the revival of figurative art in the 1970s. The exhibition will present abstract and Pop Art with works by William Copley, Elaine de Kooning, Sam Gilliam, Philip Guston, Robert Morris, Robert Rauschenberg, Julian Schnabel, Frank Stella, Andy Warhol, and Tom Wesselman, as well as works representative of the current global art world inclusive of a variety of traditions by José Bedia, Anne Chu, Tracey Emin, Teresita Fernández, Theaster Gates, Barbara Kruger, Mona Hatoum, Samson Kambalu, Glenn Ligon, Jonathan Meese, Ana Mendieta, Zanele Muholi, Catherine Opie, Cindy Sherman, Lorna Simpson and Purvis Young, among others. A new major installation by Johannesburg-based artist Serge Alain Nitegeka will be unveiled during the exhibition where it will join other site-specific installations that the Museum previously commissioned for the collection by Edouard Duval-Carrié, Arturo Herrera, Rosario Marquardt & Roberto Behar, and Jen Stark. Sections of the exhibition will change over the course of the year with installations of other core holdings, to reveal the nuances of the interrelated and reactive narratives among the works in the Museum’s unique collection.